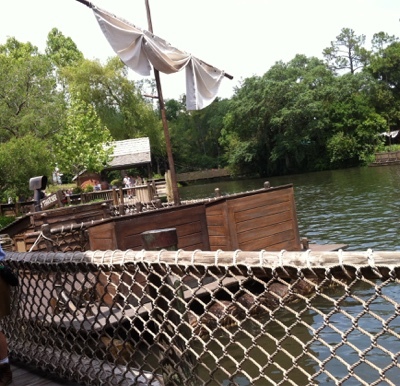 Orlando Visitor: Tom Sawyers Island, Explore and Relax, WDW Florida. Tom Sawyers Island, Explore and Relax, WDW Florida. 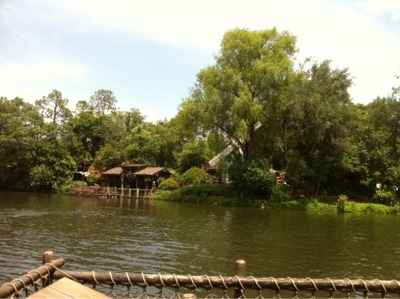 Tom Sawyers Island can be found in Frontierland at The Magic Kingdom, Walt Disney World, Florida. It's a nice place to escape the crowds for just a short time, great for a picnic and great for kids to run around and have an adventure in the caves, walk along the woodland pathways, visit Harper’s Mill, cross a barrel bridge, explore Tom Sawyer's Scavage Fort, imagine you are in the time of Mark Twain and experience the America frontier atmosphere. Board a log raft at Frontierland, enjoy the crossing of the 'Rivers of America' and step off onto a rustic adventure island. 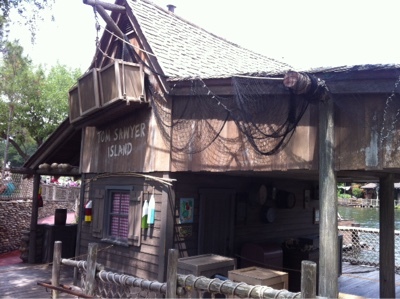 Labels: Tom Sawyer's Island. Frontierland. Magic Kingdom. WDW Resort Orlando. Star Wars Themed Cup Cake from Starbucks at WDW. Visit to Old Town Kissimmee Florida. Fourth of May, Star Wars Day.